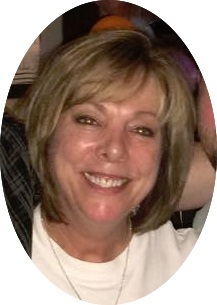 Janet Eileen Buddemeyer, 62, Richardson, Texas, passed away Saturday, February 2, 2019 at her home in Richardson. Janet was born December 14, 1956, in Hays, Kansas the daughter of Raymond H. “Ray” and Odelia (Werth) Haselhorst. She was working as an IT professional at TD Ameritrade in Richardson and had previously spent 25 years with AT&T in Kansas City. Survivors include her mother, Odelia Haselhorst, a sister, Cheryl Haselhorst Kessler, two nieces, Shara Haselhorst and Christina Kessler Gutmann (Thorsten), three nephews, John Kessler, Steve Haselhorst, and Shane (Kathleen) Haselhorst, her three cats, Lucy, Linus, and Ricky, and a host of other loving family members and friends. She was preceded in death by her husband, Mark Buddemeyer, her father, Raymond H. Haselhorst, and two brothers, Steve Haselhorst and Charles Haselhorst. A memorial mass will be at 11:00 am on Friday, February 15, 2019 at St. Joseph Catholic Church, 215 W. 13th Street, Hays with Fr. Fred Gatschet officiating. The family will receive friends from 10:00 am until service time at the church, and a rosary will begin at 10:40. Private family inurnment will be at a later date in the St. Anthony Cemetery, Schoenchen. Memorials are suggested to the American Heart Association, St. Joseph’s Catholic Church, or a no-kill animal shelter of the donor’s choice, in care of Hays Memorial Chapel, 1906 Pine Street, Hays. Condolences and memories of Janet may be shared with the family at www.haysmemorial.com.